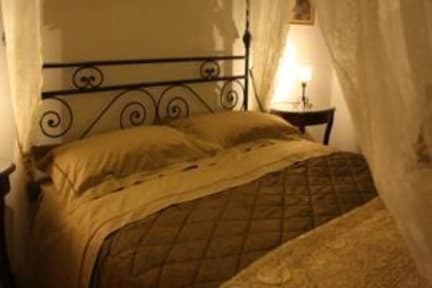 Residenza Millennium i Firenze, Italien: Reservér nu! Not a party hostel, but ideal location and rooms equipped with all comforts such as private bathroom, aircon, flat screen tv, inwall safe and free wifi, bed linen and towels. 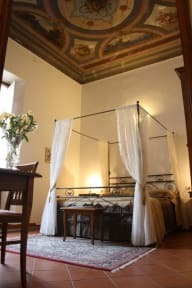 All of our rooms (except for 1) are decorated with frescos on the celings, some have balconies and one has a private terrace with a gazebo.Queen size beds and twin rooms are also available. Dorms do not have towels and linen included. Check in time 10.00 am to 14.00 pm!!! Please call us in advance to arrange arrivals at a different time !! !